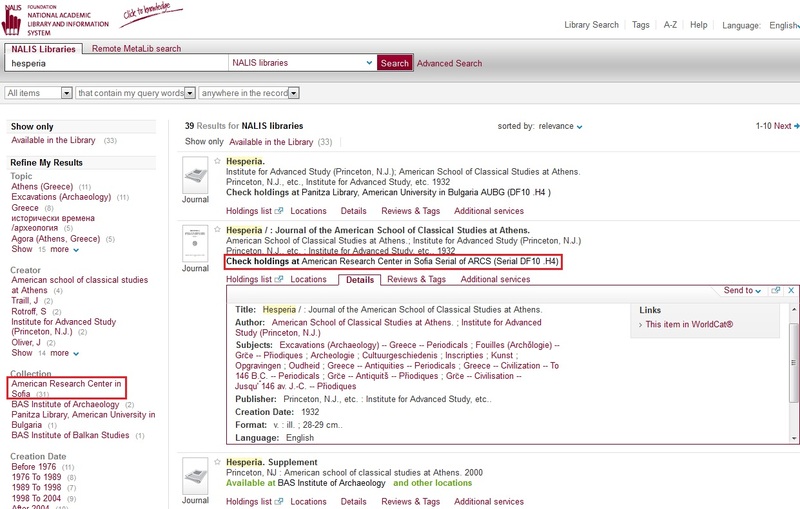 To search in the new ARCS Catalogue click ARCS Library Online Catalogue and choose "ARCS" in the Base to Search drop-down menu. 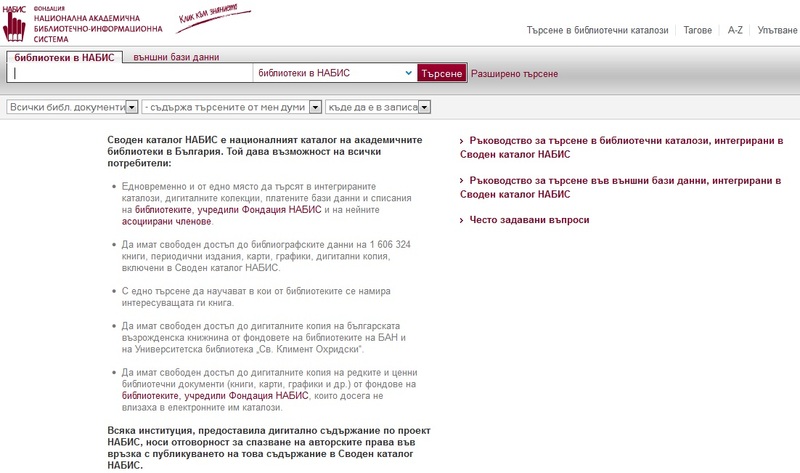 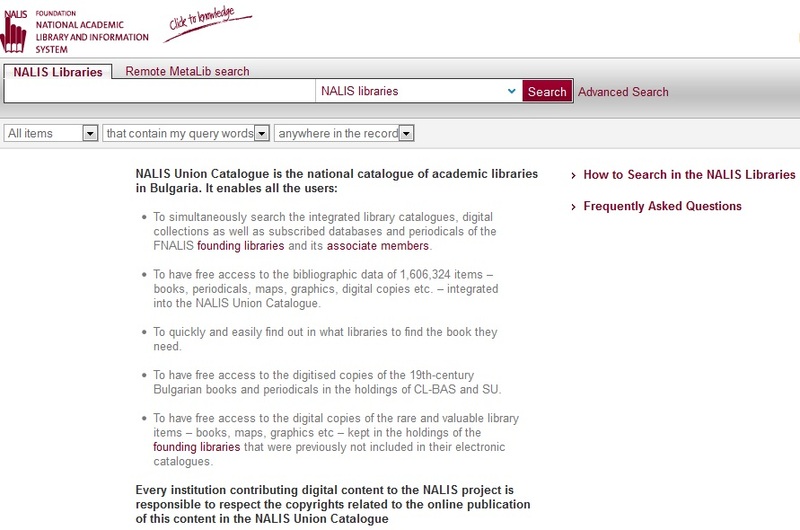 Type a word or phrase in the search box and you will see a list of all materials available in all NALIS library members. 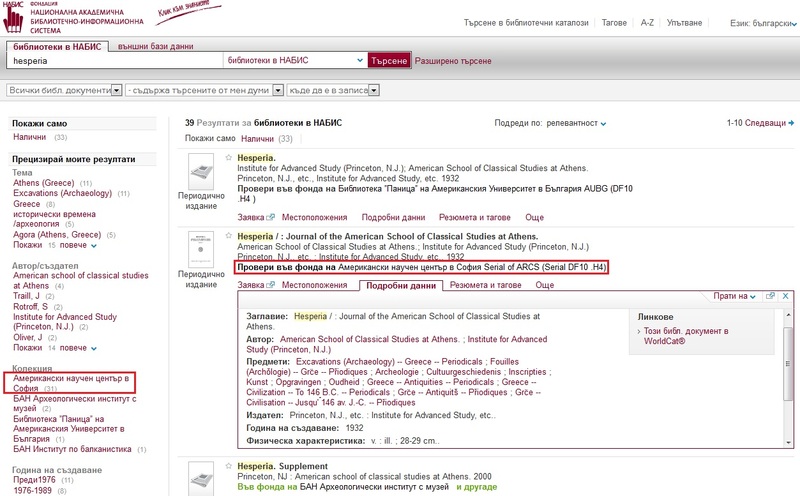 Narrow your search to ARCS library acquisitions by choosing "American Research Center in Sofia" from the "Collection" list on the left.